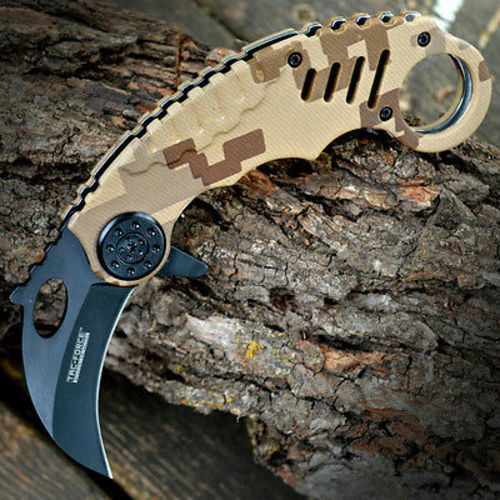 This powerful assisted opening karambit is the perfect everyday carry knife. 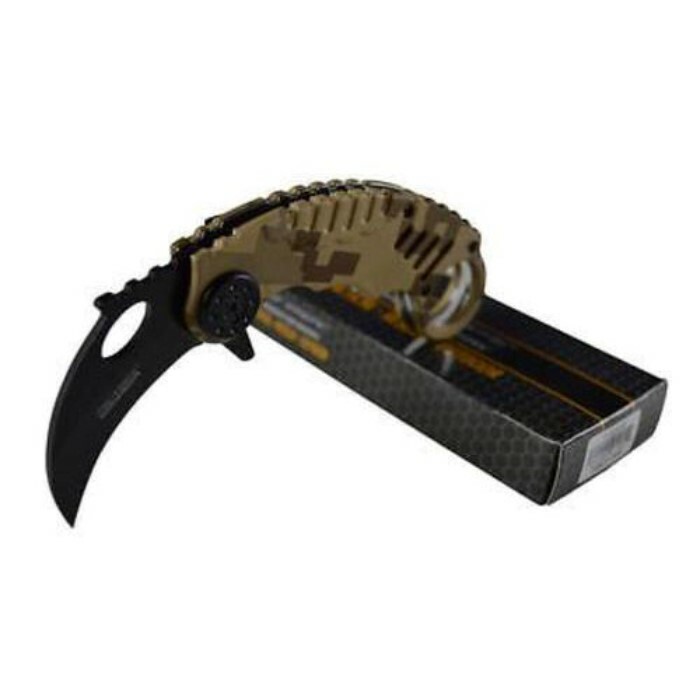 The 2 ¼” curved, stainless steel blade rockets open with the slightest flick of the blade spur. 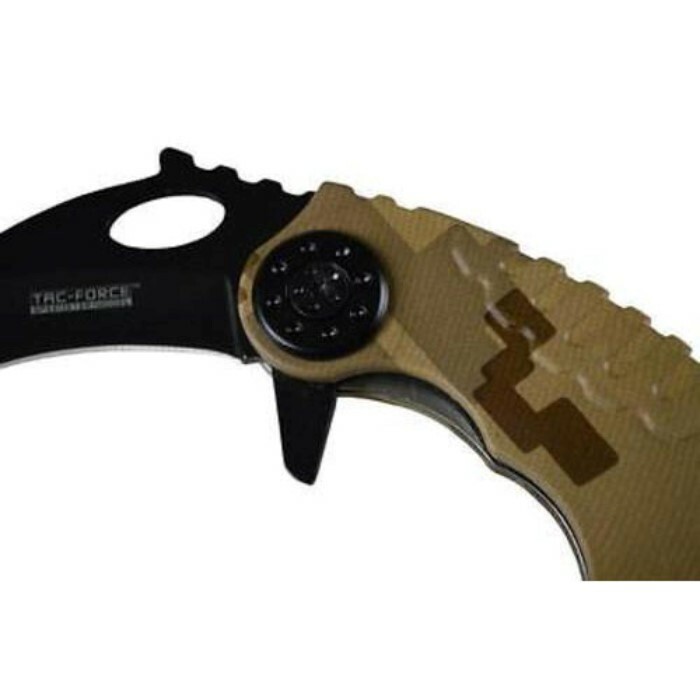 Flaunt your military pride with the ACU digital camo pattern handle. The backside of the karambit features a highly textured design ensuring a maximum grip for the carrier. 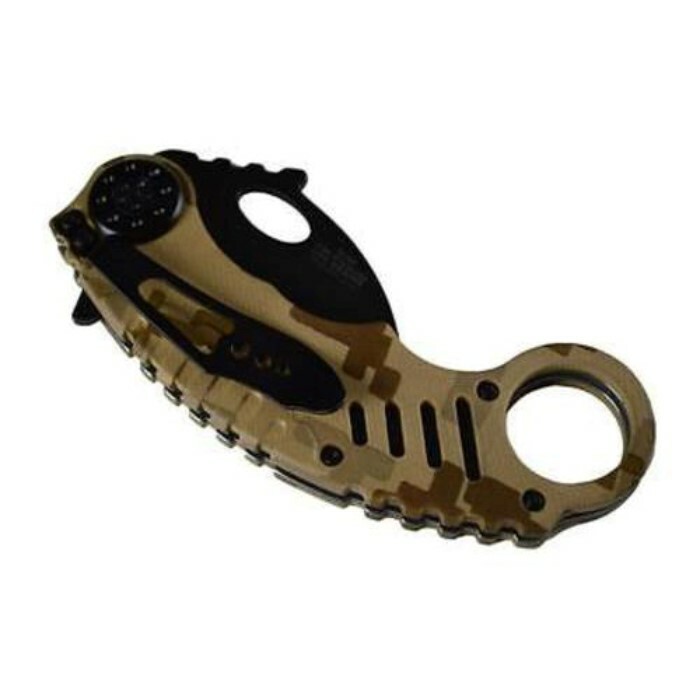 Clip this beast to your pocket and you’ll be ready for the daily tasks life throws at you!